There are stars and there are stars. Julie Andrews is the real deal. 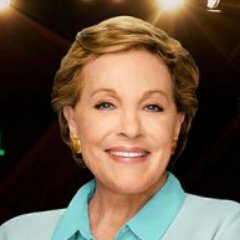 This legendary star of the classic films The Sound of Music, Mary Poppins, Victor/Victoria and Thoroughly Modern Millie and of Broadway’s Camelot and My Fair Lady turns 82 today. The Hollywood legend with the amazing vocal range had her vocal chords damaged during a botched operation in 1997 and she has been unable to appear in any musicals since then. But she hasn’t stopped working in films with The Princess Diaries and its sequel to her credit as well as the Shrek and Despicable Me franchises. She has also penned her memoirs and a series of popular children’s books.